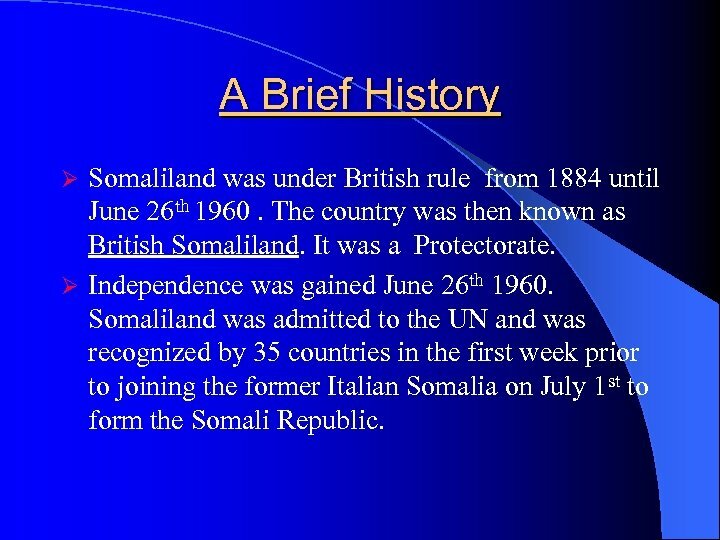 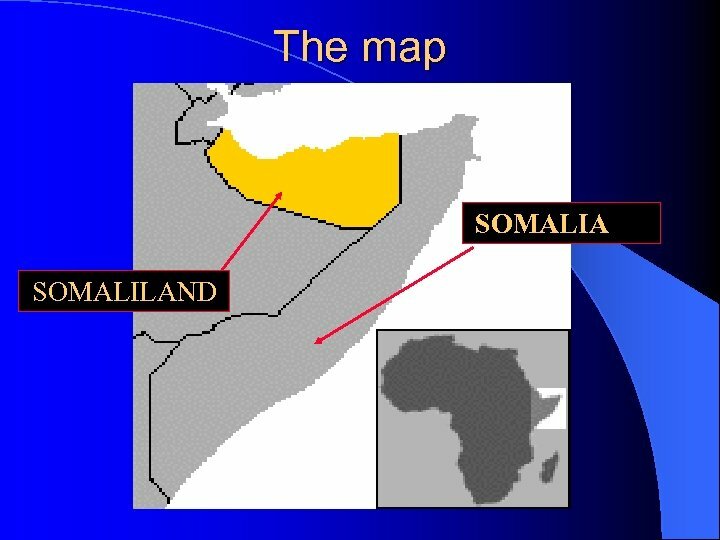 General Information Ø Languages: Somali is the official language. 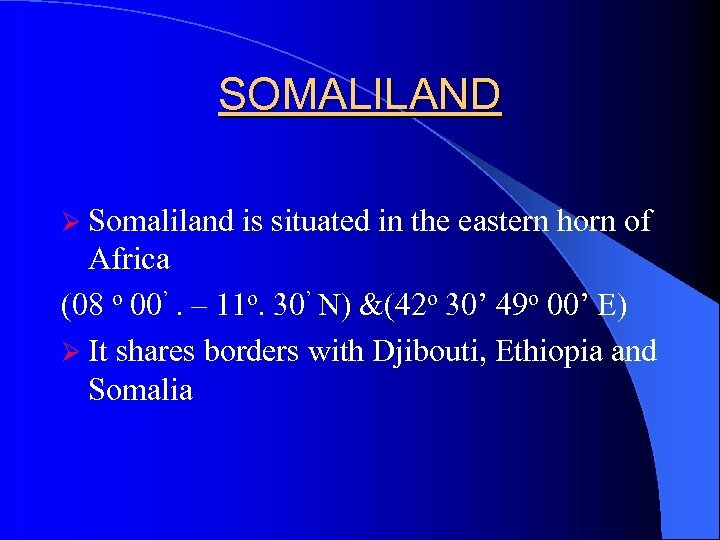 English & Arabic are also widely spoken. 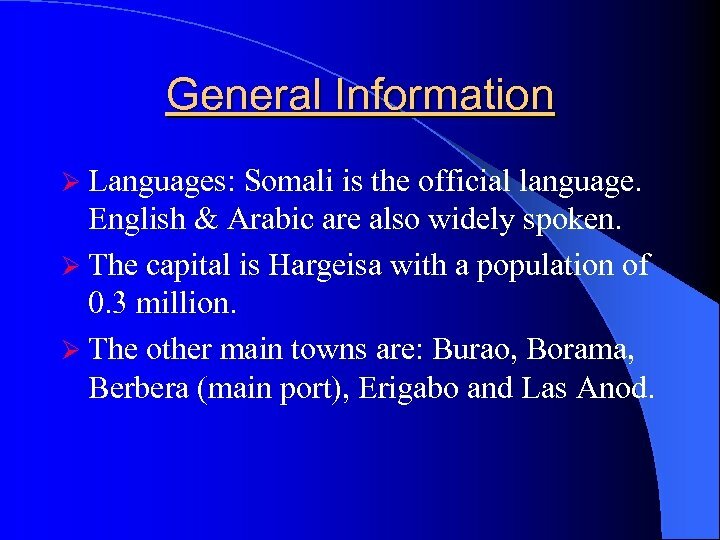 Ø The capital is Hargeisa with a population of 0. 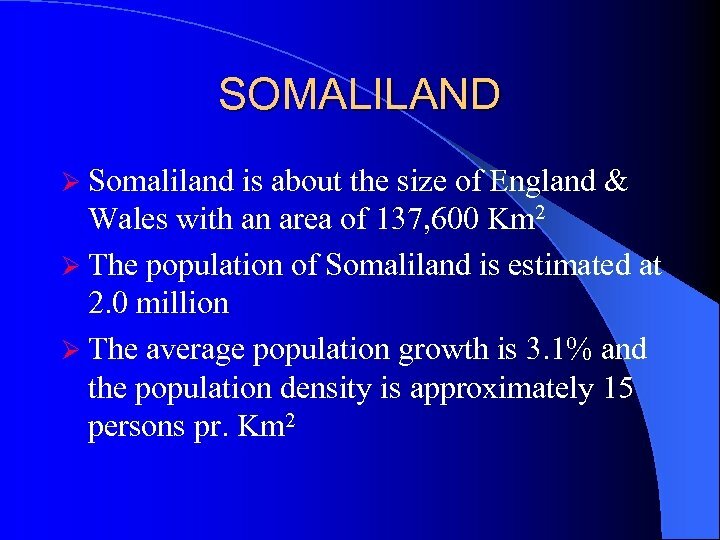 3 million. 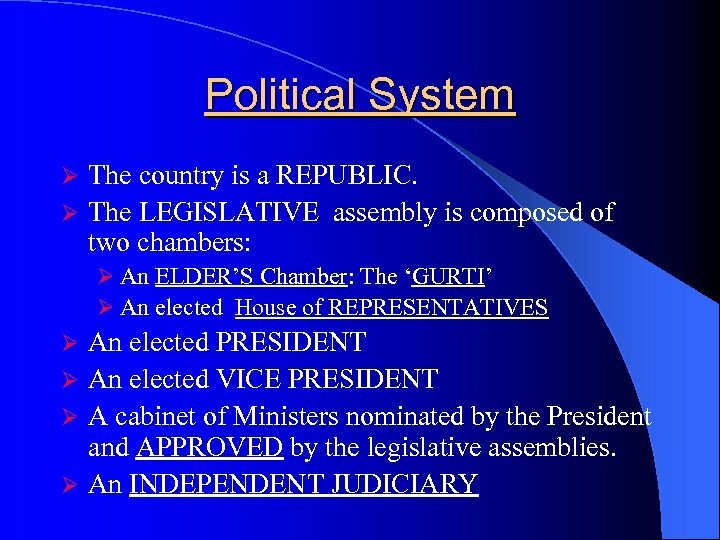 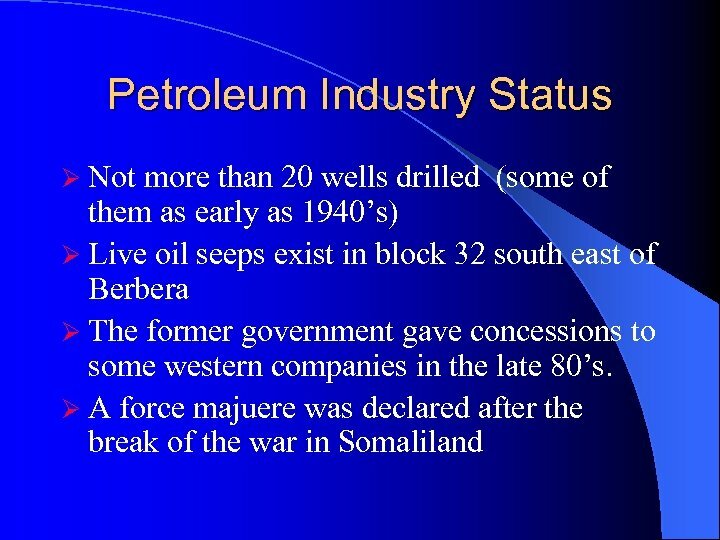 Ø The other main towns are: Burao, Borama, Berbera (main port), Erigabo and Las Anod. 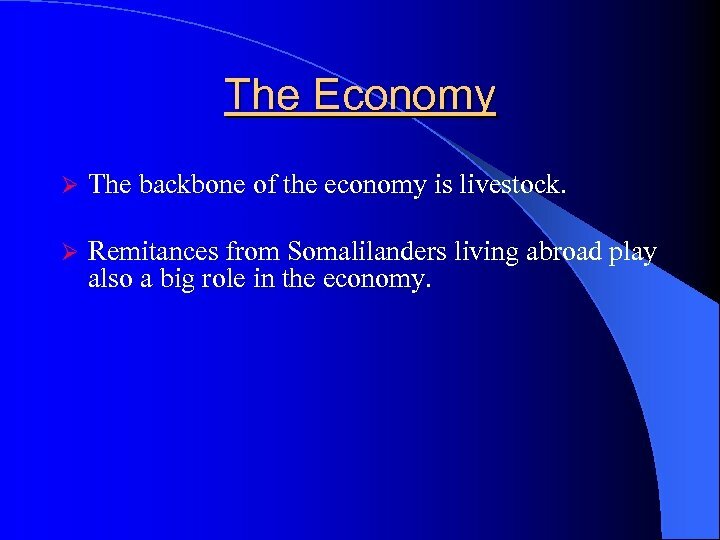 The Economy Ø The backbone of the economy is livestock. 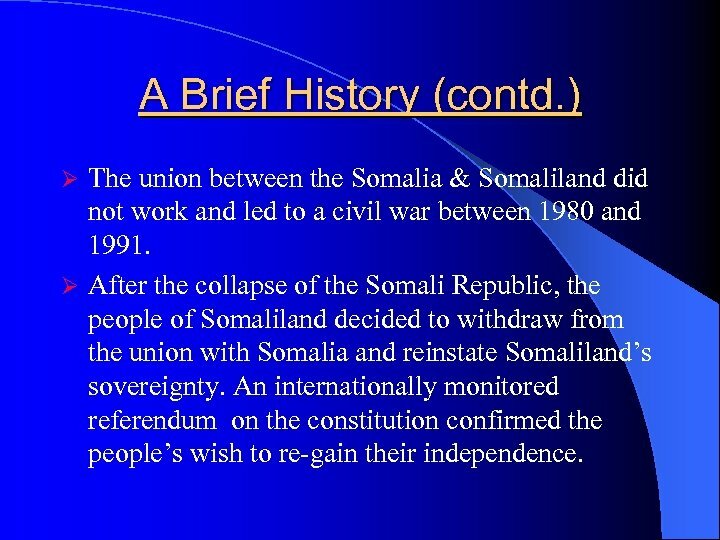 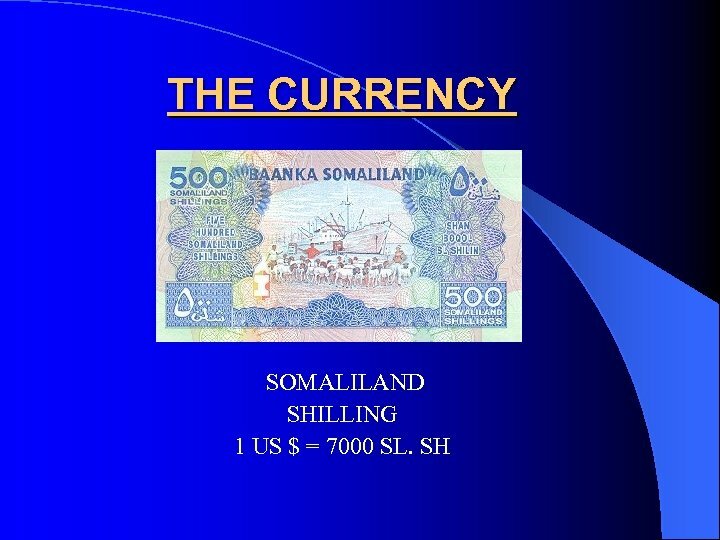 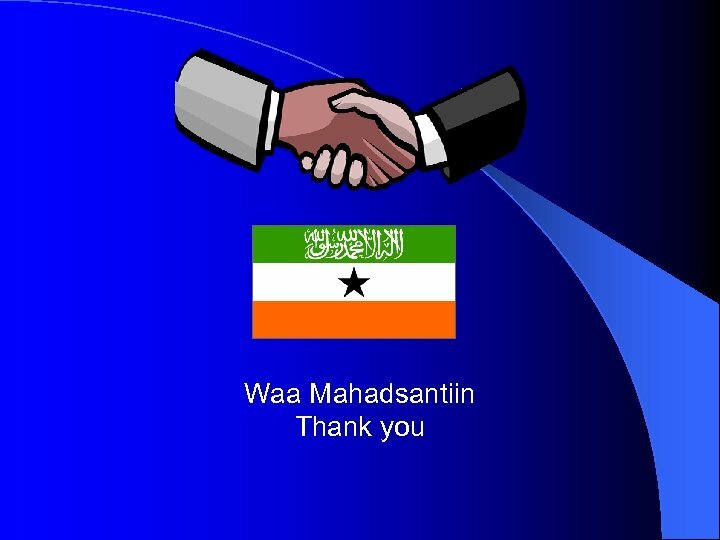 Ø Remitances from Somalilanders living abroad play also a big role in the economy. 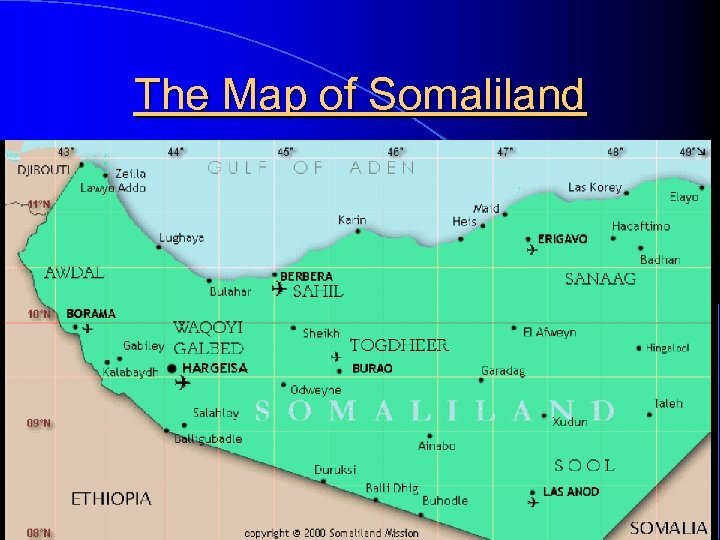 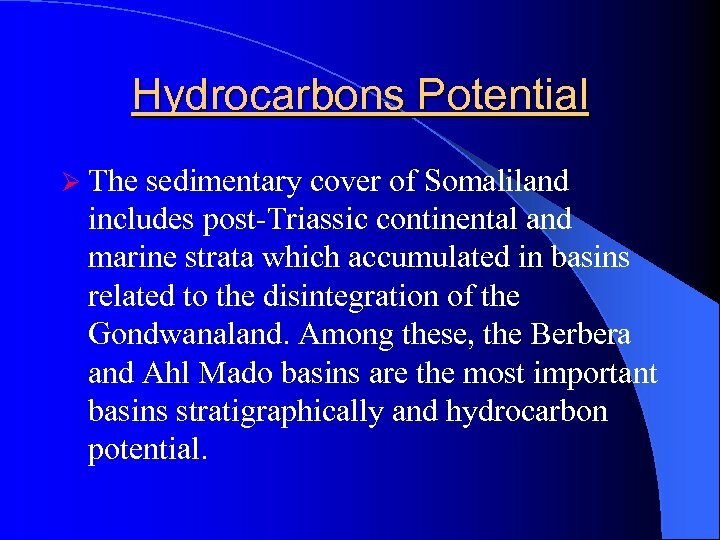 Hydrocarbons Potential Ø The sedimentary cover of Somaliland includes post-Triassic continental and marine strata which accumulated in basins related to the disintegration of the Gondwanaland. 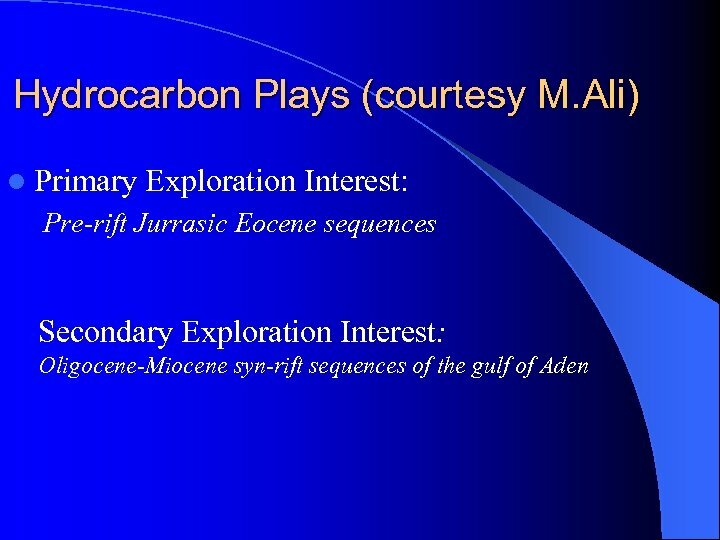 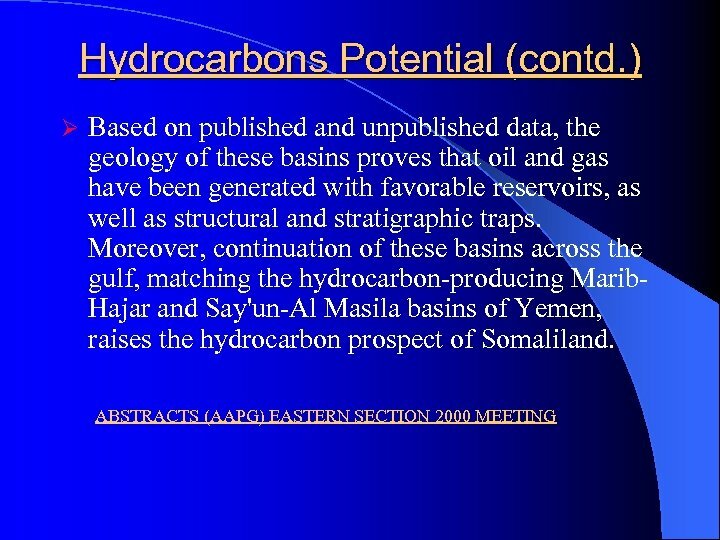 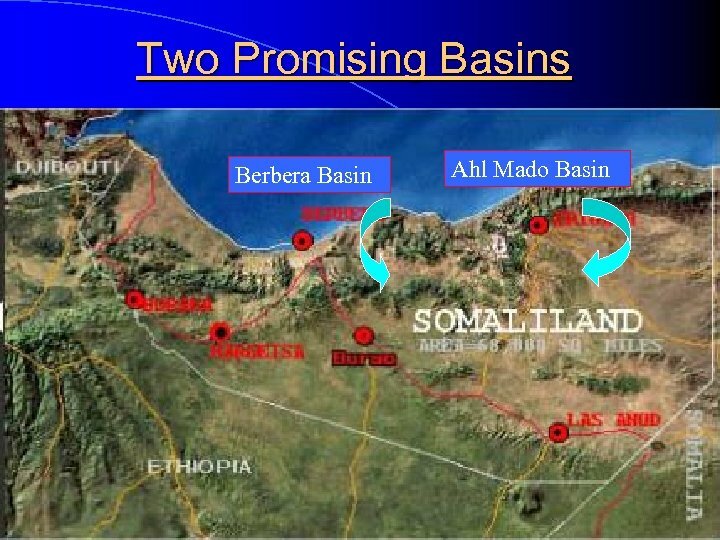 Among these, the Berbera and Ahl Mado basins are the most important basins stratigraphically and hydrocarbon potential. 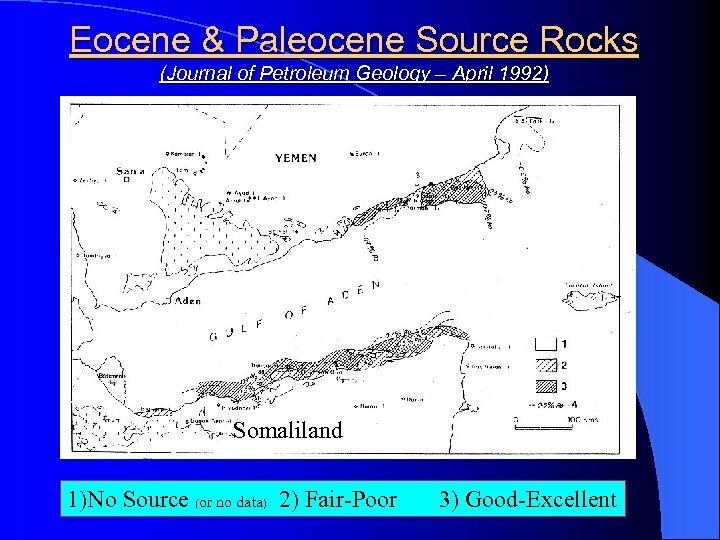 Source rocks Jurassic: Numerous excellent quality sources rocks of jurassic age are known along the coastal margin, including Bihendula area SE of Berbera(Shales in Daghani formation and Wanderer limestone)in Dagah Shabelle 1. 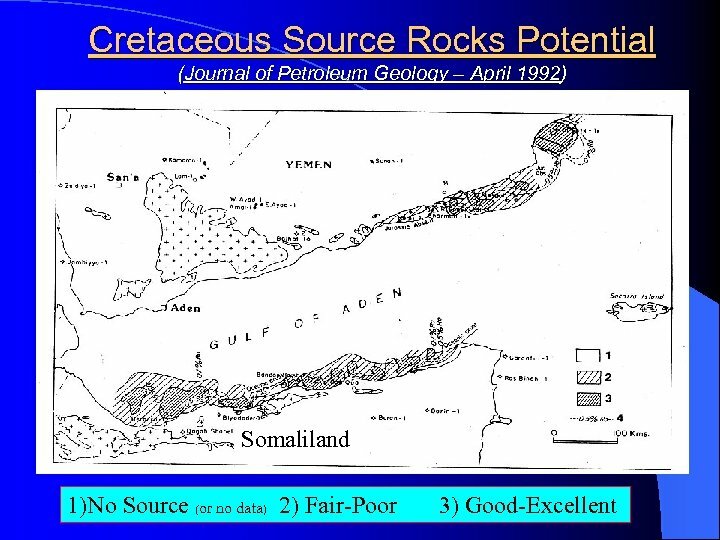 Cretaceous: The late Cretaceous Shales of Jesomma formation contain good source potential. 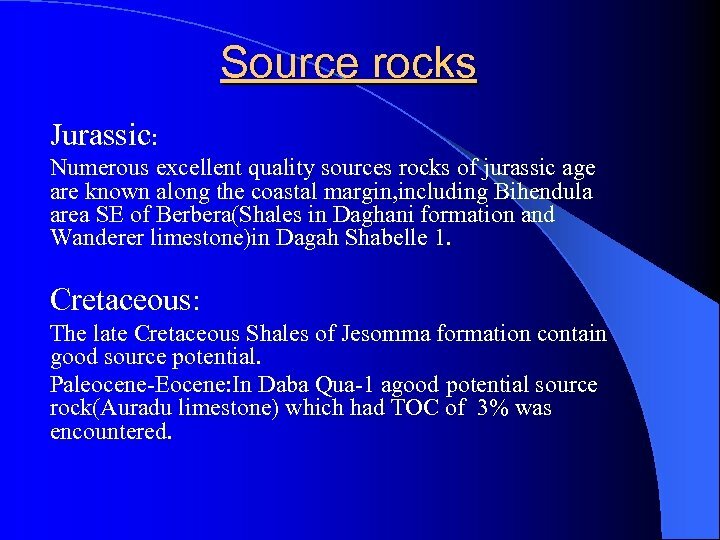 Paleocene-Eocene: In Daba Qua-1 agood potential source rock(Auradu limestone) which had TOC of 3% was encountered. 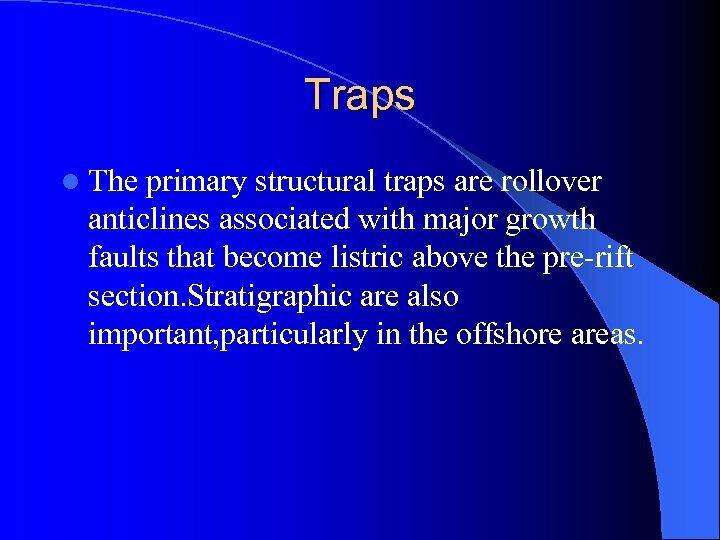 Traps l The primary structural traps are rollover anticlines associated with major growth faults that become listric above the pre-rift section. 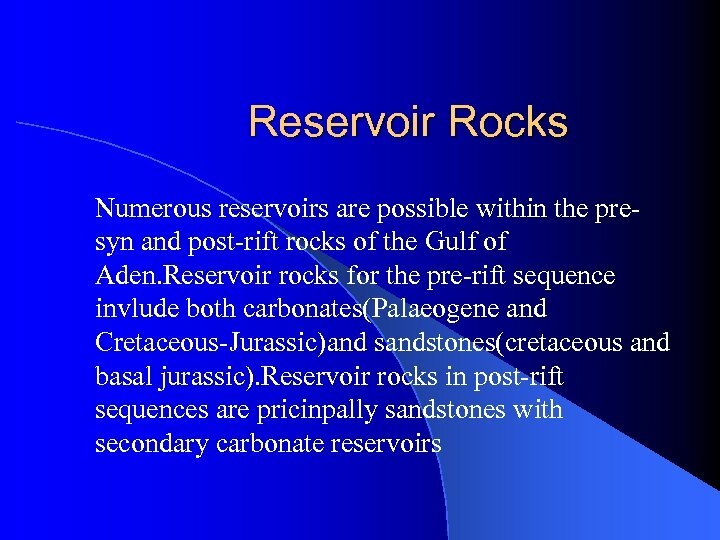 Stratigraphic are also important, particularly in the offshore areas. 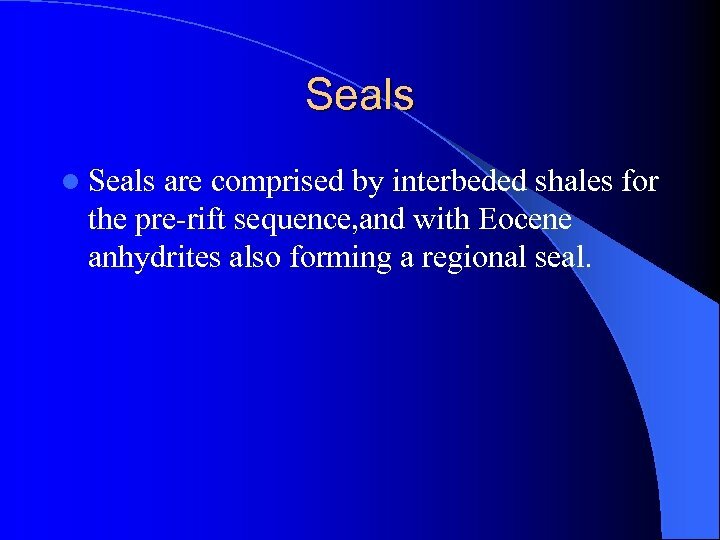 Seals l Seals are comprised by interbeded shales for the pre-rift sequence, and with Eocene anhydrites also forming a regional seal. 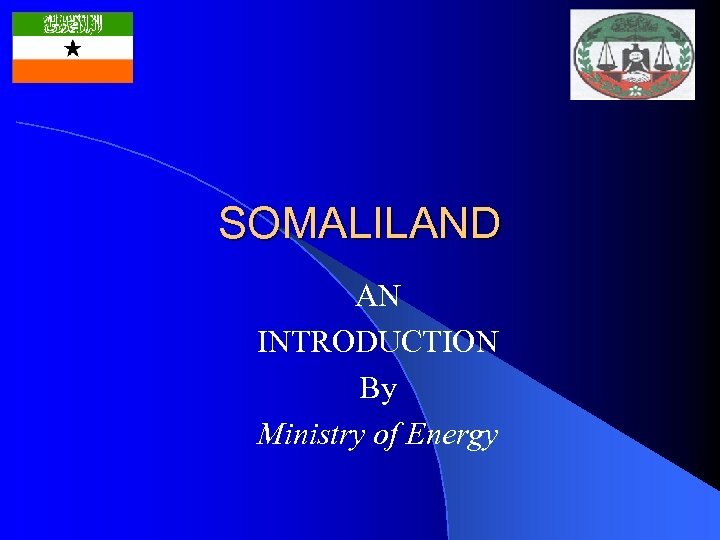 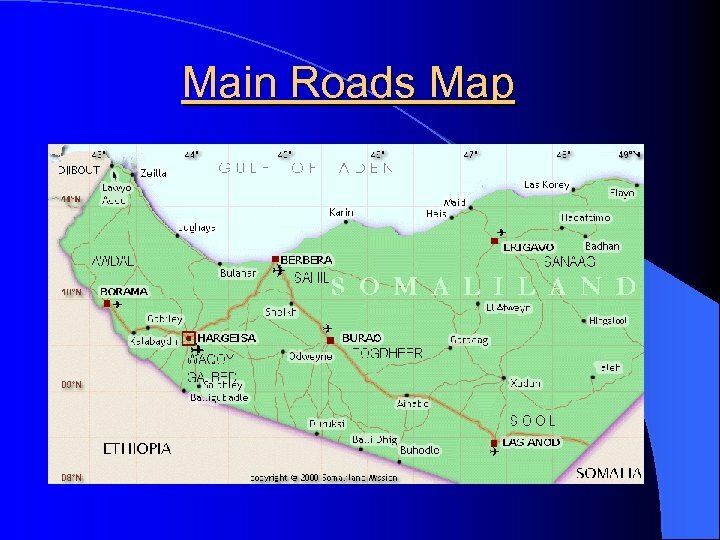 Current Activities Ø Somaliland is actively seeking international E&P companies to invest in the energy sector. 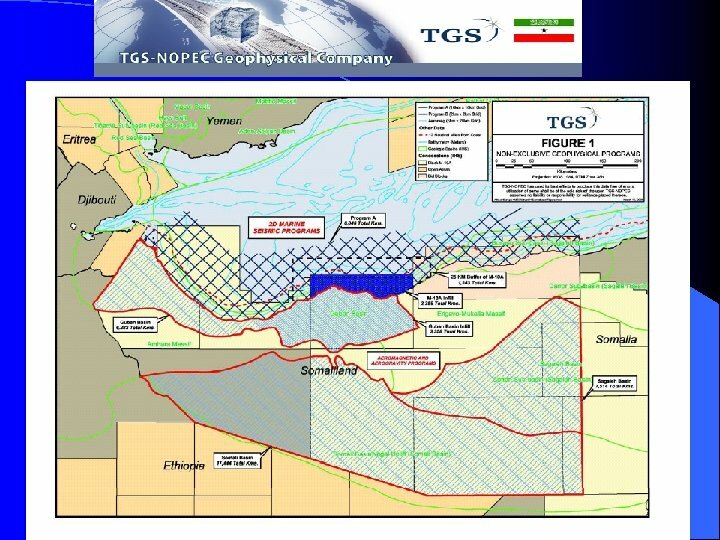 Ø The government signed a long term agreement with TGS-NOPEC to carry out non-exclusive seismic surveys offshore. 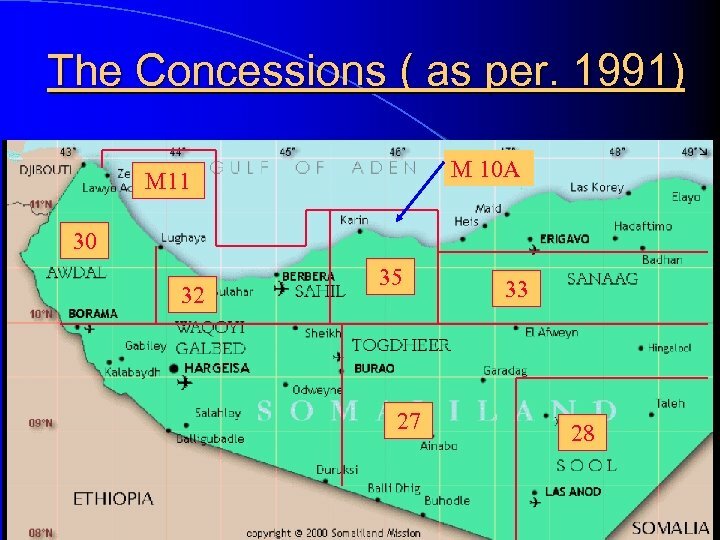 This includes the marketting of new and legacy data as well.